In Poland, like in any other country, gestures are an important supplement to speech. It may seem like Poles are not as emotional as, for example, Italians, yet they too love to express their feelings in a non-verbal way. Here are some basic gestures that will help you, without using any words, find a common language with Polish people – many may even be familiar where you’re from, but you might be surprised by the Polish take on things. Puknij się w łeb (‘Tap yourself on the head’) is a gesture that Poles use in different situations. Drivers may flash this at pedestrians or other drivers when they violate the rules of the road. As in, ‘What do you think you’re doing?’ During a discussion with good friends, you can do the puknij się w łeb sign if someone says something dumb or outrageous. Poles will often tap their index finger on their forehead while discussing the behaviour of politicians or celebrities, wishing to show that the person is making himself look stupid. The gesture is always a suggestion that someone is not effectively using their intellectual potential. A tap on the forehead is not always addressed to another person though – sometimes Poles do this to show that they themselves did or said something incorrectly. When you want to strengthen the previous gesture and show that another person or yourself spoke not simply rubbish, but total nonsense, stupidity, balderdash, absurdity and hooey, you are welcome to do a so-called ‘face palm'. It is often used and will definitely be understood. Most of you are very familiar with high fives. You surely also know fist bumps. In Poland, fist bumps are adorably called żółwiki meaning ‘little turtles’. So, if you have close friends in Poland, when you meet them in an informal setting, you can ‘bump turtles’ (przybić żółwika). It’s all because some people think a clenched fist resembles a turtle shell, hence the name of this popular gesture. The offensive bras d’honneur is well known in many countries around the world. In Poland, it went down in history thanks to athlete Władysław Kozakiewicz. 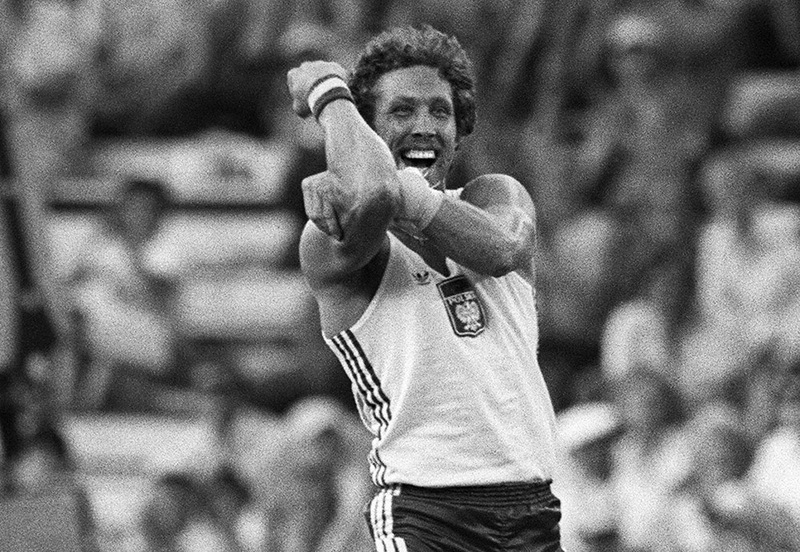 At the 1980 Olympics in Moscow, the Polish pole-vaulter broke the world record, at the time a height of 5.78 m (18’11.5”), and then ‘thanked’ the Soviet fans, who were booing him and other foreign athletes, with the bras d’honneur. Ever since, in Poland this sign has been called Kozakiewicz’s gesture. You can distinguish a Pole from other Slavs by how they count using their fingers. In Russia, Ukraine and Belarus, for instance, people most often fold down the pinkie finger, then the ring finger, then the middle finger and the other fingers into an open palm to count off. While our readers from the UK and North America count on their fingers starting with the index finger, Poles follow the convention used by most continental Europeans and begin counting with the thumb. Poles love vodka and beer, and in recent years wine and cider have gained popularity as well. To show that someone is drinking too much or to invite friends to go drinking, Poles tap their neck with the side of their palm. This gesture is a clear allusion to drunkenness or to party with a large amount of alcohol, not just to a meeting over a single glass of wine. Let’s say you’re feeling nervous – you have an important exam coming up, or a first date. Or maybe you’re wishing for something, like a freak snowstorm to delay said exam or date. When talking with others about these feelings, many of our readers might cross their index and middle fingers and say ‘Fingers crossed!’ as a wish for good luck. In Poland, however, you will see an entirely different gesture. Here, Poles will close their fingers around their thumbs into fists, a bit like they’re tensing up. Even when wishing someone luck, a Pole will say Trzymam kciuki! (‘I’m holding my thumbs!’). Due to popular demand, we've added another gesture we nearly forgot! Many thanks to all our readers who noted its absence. This gesture is a rude, and very Polish, way to let your conversation partner know you are not down to do something. The figa z makiem (lit. ‘fig with poppy’) is made by sticking your thumb out between the pointer and middle finger of a closed fist. It’s used to refuse a deal or proposition, as if to say ‘no way!’, ‘not gonna happen!’, ‘forget it!’. Can you think of any more? How do they remind you of gestures you do? Share them in the comments!